After all, if you’re decorating a communal area, such as the dining room or living room, your little ones will probably be in there just as much as you, so it has to suit their taste as well as yours! A shared interior project could teach them plenty of valuable skills, as well as instilling a sense that the room is really their own work and something they must look after. With the Xbox One so enticing, convincing your kids that wallpapering the family room is the best way to spend their time off school might not be easy, but we think our plan is absolutely foolproof! Get some interior inspiration by letting your children draw out their favourite patterns. Before you purchase your wallpaper, see what they would like to have if they could have any design in the world. From the colours to the shapes, you’ll get a better picture of how they’d love the room to look by their drawings, rather than a verbal explanation. Keep these drawings with you whilst you browse for a wallpaper for family spaces to ensure you purchase a design that they’ll love. 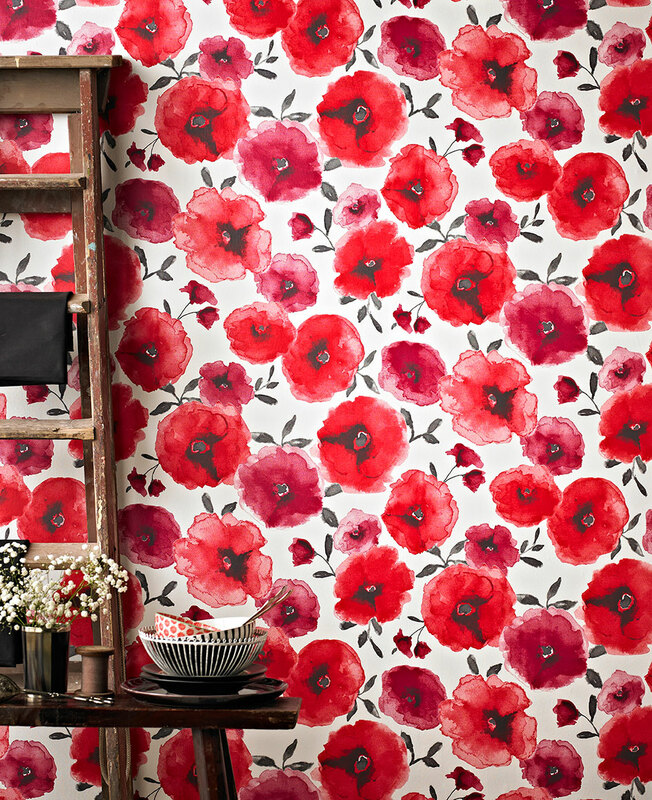 For example, if your child’s favourite colour is red or they’d like to cover the walls in gorgeous garden flowers, they will certainly approve of our beautiful Poppies Red wallpaper. Whilst your children might not have the final say (you don’t want to give them too much authority! ), you can show them that you’ve used the same colours or similar ideas so that they feel their designs have been taken into consideration and that their opinion matters. And let’s face it, who doesn’t love a red floral wallpaper? This may not seem fun to your children, but a helping hand to remove everything from your room for the project to begin would certainly come in handy! Whether it’s taking their toys and games up to their room, or helping you tear off the old wallpaper; there’s always a way your children can get involved, regardless of their age. Your children might not be tall enough to hang the wallpaper and whilst this has traditionally been a risky part to get your children involved with, there are a few ways we can make it easier. Our Superfresco Easy wallpaper is much quicker to apply than traditional wallpaper, making your job of juggling the kids and an afternoon of DIY simple! With this wallpaper, you paste the wall and not the paper, meaning your children won’t run the risk of over soaking the wallpaper. 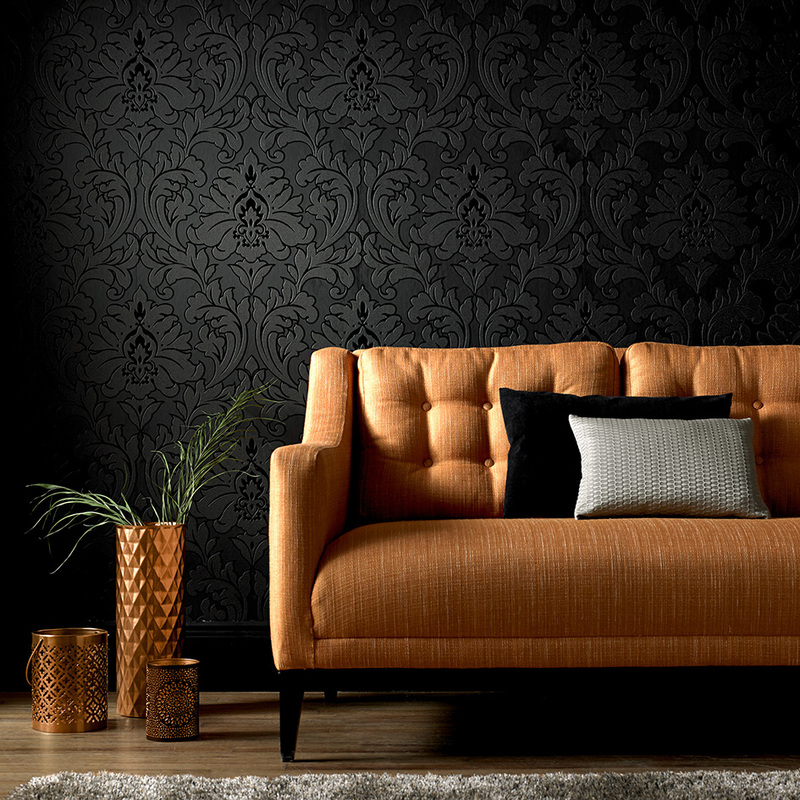 There’s plenty of gorgeous designs to choose from in our Superfresco Easy collection, such as this Majestic Black wallpaper. We definitely don’t sacrifice style for functionality, so you’ll find the same stunning designs across our whole easy-to-hang range. You can learn more about how to hang our paste-the-wall products here. When it comes to hanging the wallpaper, you’ll have to take the lead but your little ones can still oversee the project by telling you if you’ve correctly lined up each piece. Our Superfresco Easy range is specially woven to make it much more durable than regular wallpaper. Even if your little ones want to have a go themselves, you can be sure that their little hands won’t cause any accidents, and if they’ve not quite got their alignment right, you can easily correct it with no fuss. They’ll learn eventually! Let your children put their stamp on the room with a few finishing touches. Matching cushions and throws can instantly transform your room and add another layer to your interior design. As you can see, we have plenty of cushions and wall art that beautifully complement any interior design theme. 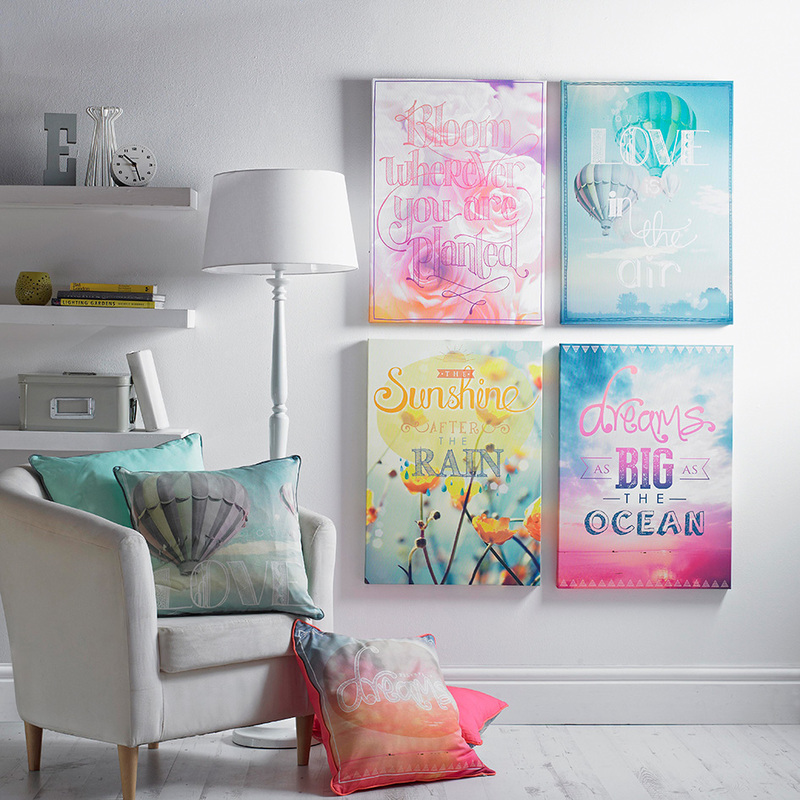 Our Dreamscape collection is particularly popular with both children and adults. Its uplifting messages are great for mornings when you don’t want to face the school run and its bright colours are a big hit with playful children who need more visual stimulation. Turn it into a game where your children have to find soft furnishings that match the colours of your walls. This way they’ll have their say and you have a little helper that narrows down your search.